Today, there are more cell phones in the world than there are people – 7.8 billion, according to data from the GSMA Intelligence tracker. But, while many people believed previously that non-ionizing radiation emitted from cell phones does not cause physical harm, a new, groundbreaking study from the National Toxicology Program (NTP; part of the National Institutes for Health) released part of their research on the carcinogenic effects of cell phones on rats. The study found that, based on two decades of research, higher doses of cell phone radiation could be linked to tumors in laboratory animals. 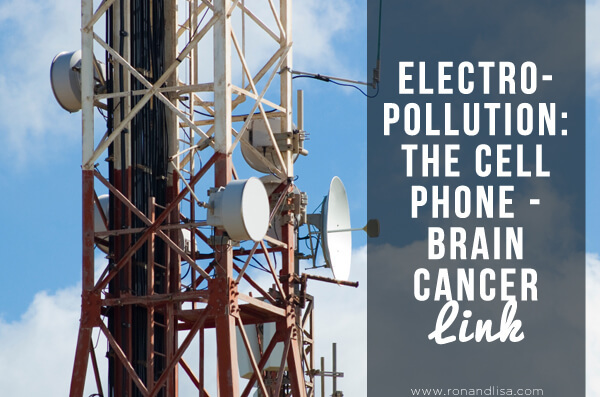 This radio frequency creates cellular-level changes that could, in fact, lead to cancer. In the study, as the rats were exposed to higher levels of RF radiation, the incidence of rare forms of brain cancer (glioma) and heart tumors among them also increased. While the NTP agrees further research is needed, additional animal studies assessing the radiation-cancer risk are currently underway at the National Institutes for Health. In our online program, Change Your Home. Change Your Health in 30 Days! we provide tools and techniques to protect yourself from radio frequencies via our seventeen step avoidance strategy including the Pong Case to reduce radiation from your phone. We also offer information about EMF risks on this website to further educate yourself. According to the Federal Communications Commission, you should place more distance between your body and your cell phone during long conversations, since the exposure level drops off dramatically with distance. As always, adhere to the Precautionary Principle to protect yourself and your loved ones from dangers exposed to electromagnetic radiation in your home, at work and at schools.